Even though I have lived in my house a while, I still hadn't updated some of the window dressings and one of these was the bathroom window blinds. Looking a bit tired and bent at the edges, my black Venetian blinds were well past their prime. Fortunately I was recently able to choose some new ones from Blinds Supermarket and I was seriously spoilt for choice. And I certainly did. 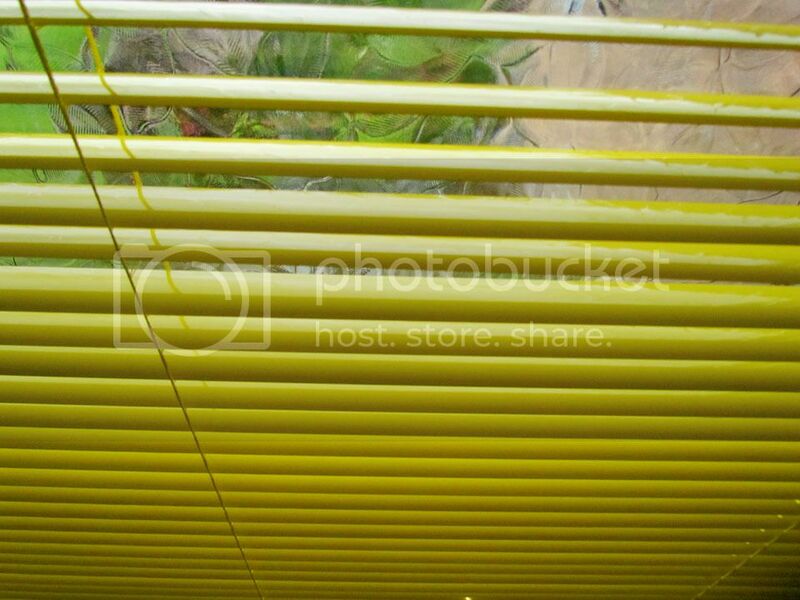 I chose Mary Yellow Venetian blinds as they looked so glossy and cheerful. I was torn actually with the Louisa Pink but opted for bold yellow in the end. You can send for a sample first which is a super idea if you are trying to match to other decor elements and are unsure. 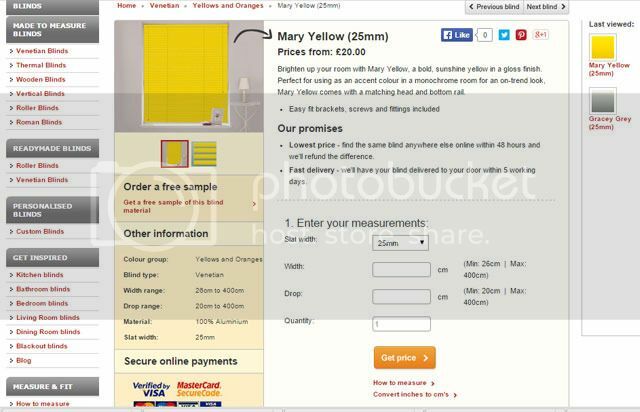 The Blinds Supermarket website is easy to navigate and provides useful information on how to measure up for the blinds and there are selection boxes to price up your blind, choose if the fitting is exact or for a recess (like mine) and what side you want the tilt and raise/lower control at. For extra peace of mind, you can take out mismeasurement protection for a few pounds more. Blinds Supermarket will then replace your blind for free if you get your measurements wrong. 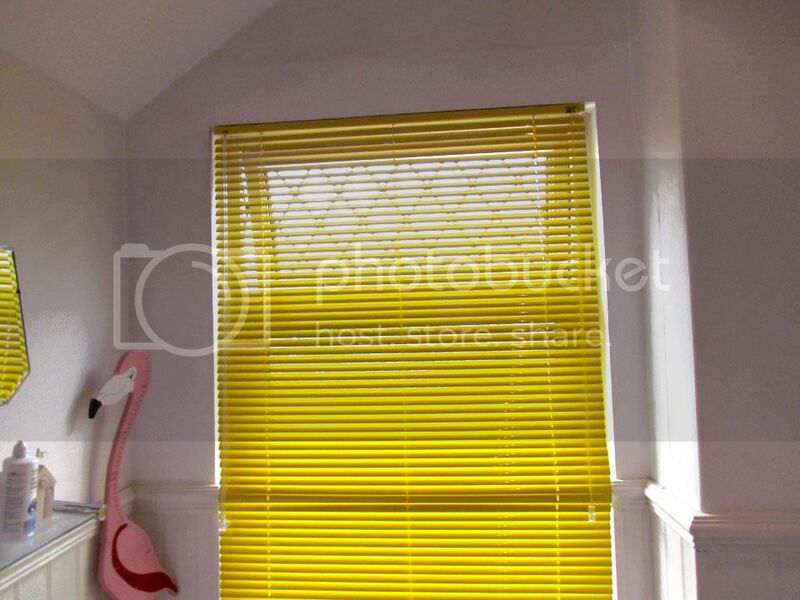 The price of my blinds was just under £50, an extremely affordable price for having made-to-measure Venetians. The blind arrived really quickly and I was excited to get them fitted. This was an easy process for us as it was basically like-for-like so we could use the same holes that had previously been drilled.Easy fit brackets, screws and fittings are included with the blind so all we needed to do was change the fittings and clip into place. A perfect fit so no adjustments were required and the blinds were up within 10 minutes. Obviously factor in if you will need to drill holes and how DIY efficient you are. The blinds feel such great quality and are made from 100% aluminium. 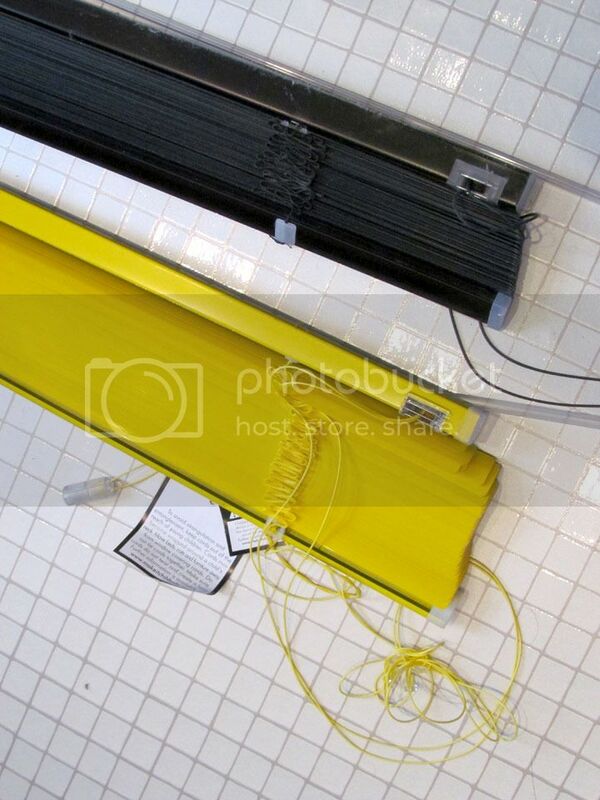 The top and bottom bar are sturdy and a cleat was also supplied, to be attached to the wall, so that the cord can be wrapped around it. Really, really important that your blind cord is out of the way of young children. Blind Supermarket are very safety conscious and provided advice on blind safety in with the package. The tilt and pull functions work really well and I can tell that the blind will last many years. I think they look such a statement in the bathroom, which had an existing black, white and grey theme. 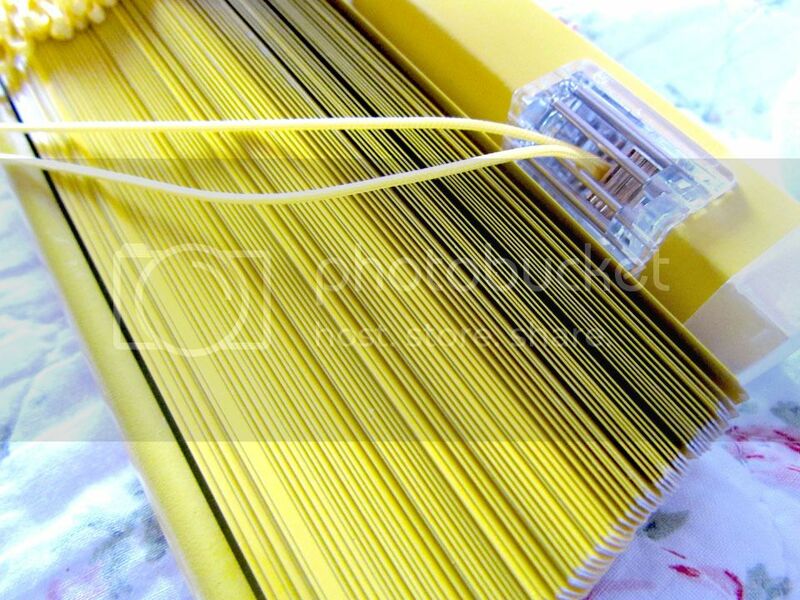 The brightness of the yellow really pops out as soon as you enter the room and it's also made the room a lot lighter. Sunlight streams through and casts a gorgeous golden glow across the room. It's a nice contrast too with the grey tiles, one of my favourite colour combinations. 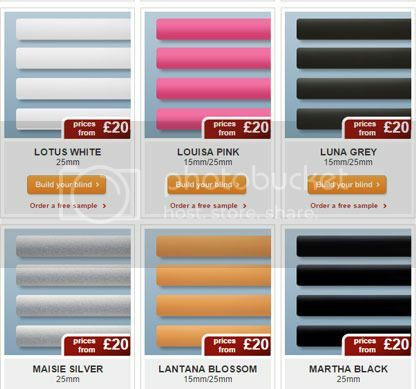 There are a whole range of other blinds available from Blinds Supermarket from roller to Roman and there are some useful inspiration guides to help you decide what you would like. I was very impressed with their whole service and would look to them again for blinds in the future.